In truth, I expected more from Izzo this season. Still just 24 and having cemented himself as Adelaide’s custodian over the last two seasons, a breakout year loomed. He has been solid at times, yet Saturday’s 0-0 draw with Melbourne City reminded me of his enormous potential. Izzo produced a series of stunning and technically proficient saves, as City peppered his goal with a total of 21 shots. This is starting to feel like a team of the week featuring many of my favourite players. Grant was superb once again in the Sydney derby. Now back to full fitness after missing an extended period of football in 2018, Grant’s engine is his most impressive attribute. Time and time again he sparked Sydney FC attacks down the right and his passing game continues to improve. Grant always had the passion and energy and now, as his expertise continues to grow, the A-League is privileged to be watching one of Australia’s best defenders. I’ve thrown the Brisbane veteran into the team of the week for the first time this season knowing full well that it may be the last time it occurs. It should never be forgotten that McKay is the Mr Fix It of the Brisbane Roar, plugging holes where needed and driving the young men around him. The 36-year-old was typically efficient, inspirational and mostly unnoticed in defence against the Phoenix on Friday. 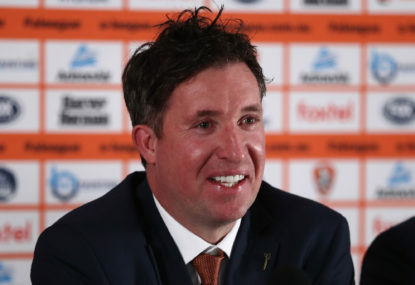 The fresh crop of youngsters in orange will be learning lessons on a daily basis from one of Australia’s best domestic footballers of the last decade. Feeling pity or sympathy towards players or teams in professional sport is not usually my go. However, I genuinely feel sorry for Millar. His re-emergence on the A-League scene has been astonishing. Week after week he is the best player on the pitch for the Mariners. 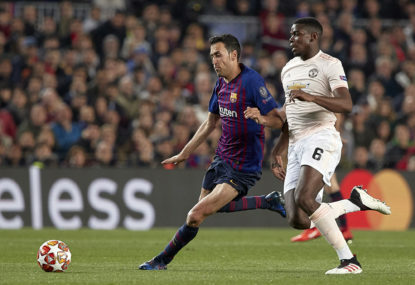 Even against the might of the Victory – who did appear a little blasé and arrogant in their play on Sunday night – Millar ran, ran and ran some more, offering an attacking option on the right for the entire contest. Well played Matthew Millar. It has been a breakout season and you deserve every accolade that comes your way. At 27, Delbridge is finally starting to fulfil his potential. In his A-League career, there have been many good days yet poor performances have popped up just as regularly. The 2018-19 campaign has seen the Sydney-born defender begin to display a more clinical week-to-week approach. Adding to his craft has been the presence of Bart Schenkeveld, and with the confidence of playing in a tight and efficient defence, his attacking incursions have become more frequent and effective. Warren Joyce will be increasingly looking to use his strength in the air as a weapon in the semi-final series that is now just weeks away. There is a little sentimentality in Davidson’s selection in the team of the week. After a stunning season, he was once again influential and despite leaving the field with a lower leg injury late, his presence was significant. 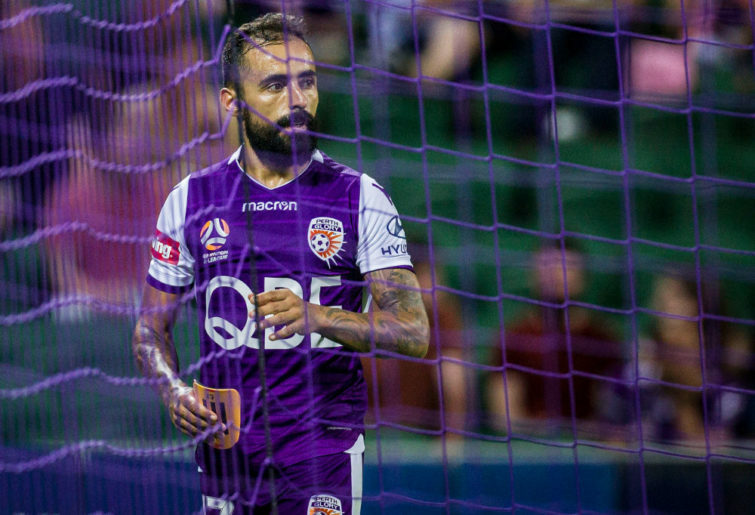 There is something attractive about the way the 27-year-old plays the game and Tony Popovic has unleashed his talents within a brilliantly choreographed Perth Glory structure. Yes folks, he is in the team of the week once again and it’s well deserved. It took Perth a while to lock up the premier’s plate but get it done they did against a brave and committed Jets side that looked to have scored early bar Roy O’Donovan’s offside play. 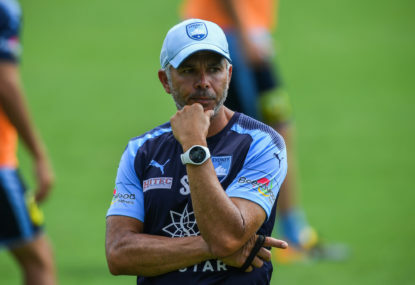 It was another stellar performance from the little man with the ever-increasing bald patch, and if Melbourne Victory or Sydney FC have their sights set on an upset, they had better have a plan to contain the dangerous Castro. I’ve been desperate to get Mitchell Duke into the team of the week, partly because I just love the way he plays football. The 28-year-old returned to Australia this season and despite taking some time to achieve full fitness, he impacted the Wanderers’ score sheet almost immediately. 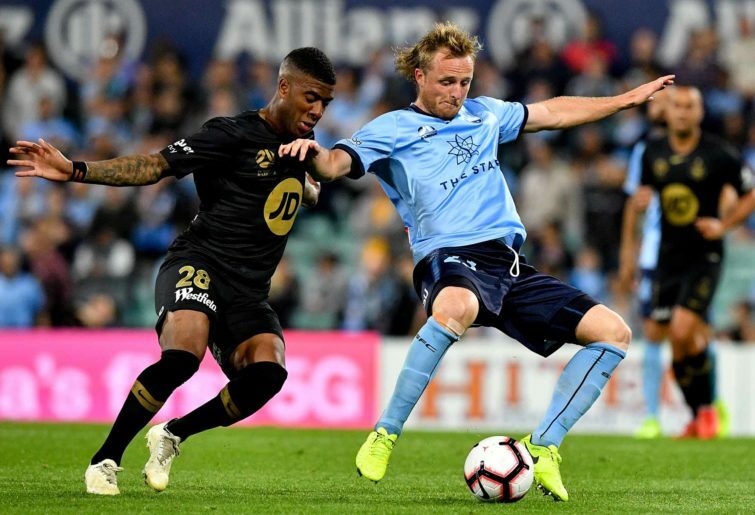 He didn’t find the net against Sydney FC in the final derby of 2019, yet he did channel much of the Wanderers’ attacking play through his areas on a night where Western Sydney shaded their second-placed rivals. As the A-League world saw the future of the Brisbane Roar on full show, Wenzel-Halls continued his excellent debut season with a menacing display against the Phoenix. Sniffing around the box and using his impressive speed off the mark to advantage, the 21-year-old from Ipswich caused headaches for the Wellington defence, particularly in the first half. 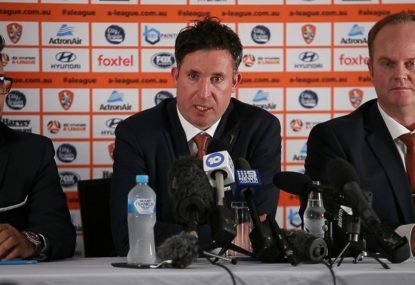 Locking up Wenzel-Halls on a long-term deal should be a priority for the Roar front office. A well respected Roar contributor believes I have an issue with James Troisi. With that inconsistency comes brilliant performances and days where the Socceroo runs around the pitch wearing shorts and doing little else. On Sunday night against the Mariners, Troisi was the former. There was a touch of class in everything he did as the Victory threw wave after wave at the visitors. I haven’t checked his passing completion percentage or number of touches, I don’t need to. Troisi was sublime in a match when the Victory could have been a little less fancy and a little more clinical. As the rumours continue to circle around the Frenchman’s club of choice for 2019-20, it’s fitting that he would produce the most perfect job interview for all interested clubs, who must now be pondering even more over his potential worth. 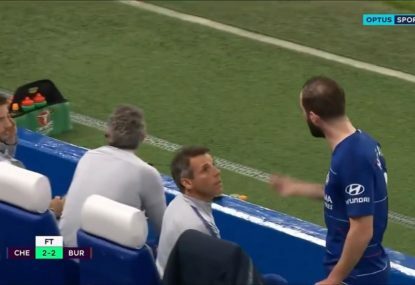 True to form, Bautheac was sent off late in the match after scoring two first-half goals. 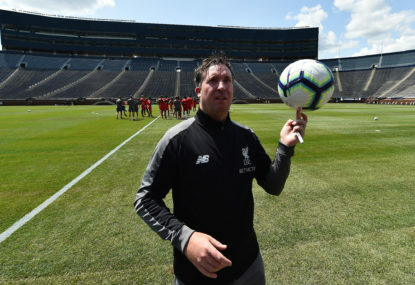 Despite his hot head, the 31-year-old appears keen to extend his stay in Australia and the Victory seem most likely to lure him away from the sunshine state.